B.T.Bear (esq.) 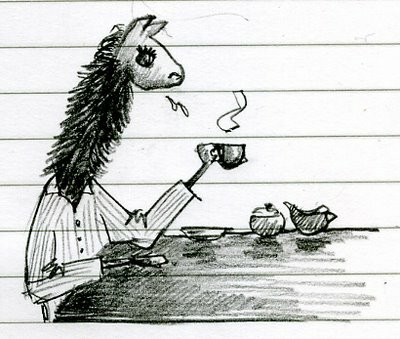 said…A llama in pajamas! This entry was posted in coffee, creature, doodles, llama, pajamas, requests, spit. Bookmark the permalink.